Elgin Orchards, situated on the ecologically sensitive Palmiet River in Grabouw, is the only wine farm on the western side of the Elgin Valley plateau to become a BWI Champion. Elgin Orchards have dedicated 116ha of their 771 ha farm, named Oudebrug, to conservation. Core to their conservation efforts has been the protection and maintenance of 6.6km of the riparian zone on the Palmiet River. The Palmiet Riet (reed), growing in this area, acts as a filtering system, naturally cleansing the water. The dense Riet also creates a lively ecosystem, creating a home for amphibians, insects, birds, reptiles and fish species. 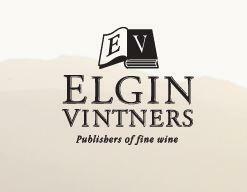 Elgin Vintners, 19 Appletiser Road, Elgin, 7160.